WHAT'S THE PROBLEM IN ITALY? The roots of Italy's trouble lie in its huge debt and low growth rate. Italy's economy has been growing at only 0.3% and it is projected to grow at a similar feeble rate for the next few years. The Italian debt stands at about 127% of GDP (The fiscal deficit is € 1.84 trillion, the second highest debt in Europe). The problem for Italy is that it is not going to be able to generate enough resources to pay for its debt. While the Italian Government has passed austerity measures, not enough efforts have been made to stimulate the economy and carry out structural reforms. Read more about WHAT'S THE PROBLEM IN ITALY? The EU needs to rebuild trust with citizens and try to implement what they want instead of telling them what they will get. There is a growing 'revolt against Brussels'. People want to reclaim some control and ownership that now reside in the EU. Populist advances should be taken seriously because they are shaping the political debate. In the absence of real alternatives to the policies in practice, the impression that left and right are alike, makes it easy for demagogues to feed the far right populism. MILITARY TENSION IN THE MEDITERRANEAN: TURKEY IS PLAYING WITH FIRE! Military tension is building up among Greece, Turkey and Israel as Cyprus has started exploratory drilling for gas offshore in the face of threats from Ankara. All three have placed their air and sea forces in a state of preparedness along with the Cypriot army. Read more about MILITARY TENSION IN THE MEDITERRANEAN: TURKEY IS PLAYING WITH FIRE! "What works in bringing the economy (US. economy) back says Former President Bill Clinton is cooperation. What works he goes on to say in getting on the news programme and in politics is conflict. Conflict is great for politics, great for the news coverage but lousy for economic policies. That's what the problem is. We've got to go back to a cooperative environment where everybody kicks in." 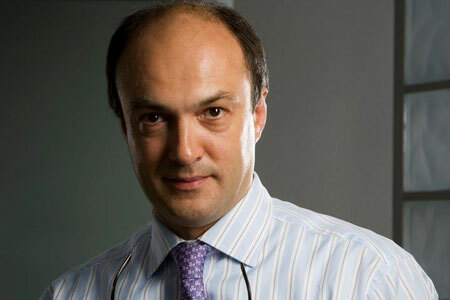 AALEP represented by Mr. Kewalramani, a distinguished AALEP member and Chief Executive of Perfect Relations, a foremost lobbying firm in India has been invited to attend a meeting of the Delhi Chapter of the European Business Group India (EBGI) on Friday 23 September. Mr. Kewalramani will address the Council Meeting and share the activities and objectives for India of AALEP before both organizations conclude a membership swap whereby AALEP will join EBGI as Associate Member and EBGI will join AALEP as Associate Member. NEW EU STRATEGY IS TO KILL THE MESSENGER! 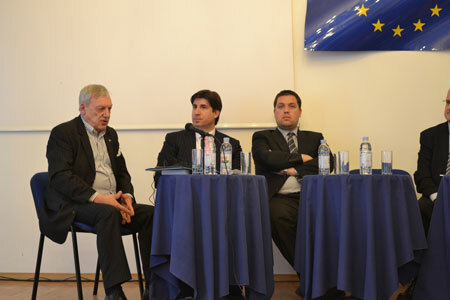 New divisions among EU 27 continue regarding the debt crisis and Greece. No progress is being made, No united front regarding banks and the need for recapitalization, No progress on tax on financial transactions, push back to October any decision concerning the payment of an additional € 8 billion to Greece. 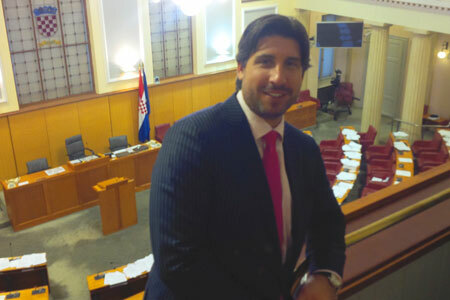 Read more about NEW EU STRATEGY IS TO KILL THE MESSENGER! On 23 September, the Palestinian Authority (PA) will ask the United Nations to recognize a Palestinian State. The U.N. Security Council would be able to recognize such a state but the U.S. has already made it clear that it will veto the move. Russia, China, France and the UK will probably be in favour, but that won't be enough). So it would be up to the General Assembly but the General Assembly would only be able to upgrade Palestine's current status of observer to that of a non-member state. Either way, the EU position on Palestine's bid will be critical. AALEP has entered into a protocol of cooperation with the Rusian-European Chamber of Commerce (RUSCHAM) whereby AALEP joins RUSCHAM as an Associate Member and RUSCHAM joins AALEP as an Associate Member. It should be pointed out that Associate Membership does not confer any right for either organization to vote at annual meetings but does provide an entitlement to participate in metings,events, projects and programmes. THE FOULOY'S EXPLANATORY LOBBYING DICTIONARY is an up-dated explanatory reference book on the craft of lobbying and advocacy and represents an expanded version of the Professional Lobbyist's Desk Reference that was originally published in 2001. 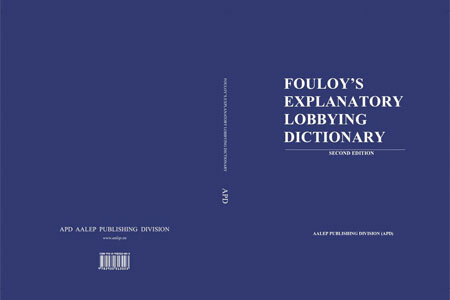 THE FOULOY'S EXPLANATORY LOBBYING DICTIONARY is a single, one-stop resource not available elsewhere in such a format on the subject. EUROCHAM-LIBYA (The European Chamber of Commerce and Industry in Libya) is officially being launched to advance the interests of European companies in Libya.